Asking random civilians out on the street is no sure way to get local restaurant recommendations. You’ll most likely end up with dozens of different answers, ranging from fast-food chains to fancy dinners and everything in between. 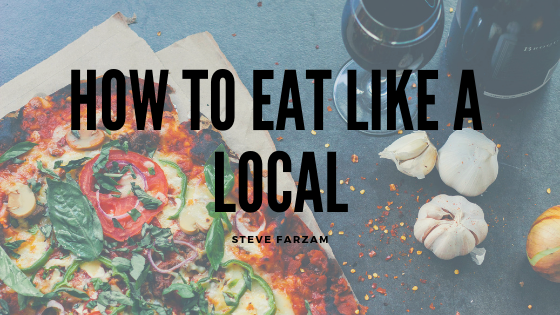 To eat like a local, you have to think like a local. No matter where you are, imagine that city as your own. How would you go about finding somewhere to eat? That’s most likely how the locals around you also do it. While partaking in the various delicacies of a new place is fun and exciting, you won’t find local favorites by acting like a tourist. You should follow these three rules when trying to eat like a local in any given area. Check Google Maps and Yelp for local restaurants before taking to the streets. Often, reviews are left by citizens of the city in which a restaurant is based. Moreover, newspapers and local magazines are great resources for finding local food. If you’re searching for locally sustained restaurants, do some research on your potential options. Find out if their ingredients are local or not. If possible, talk to the kitchen manager or head chef. Ask them where their food comes from. Many cities throughout the United States offer tours which stop at various local bars and eateries. A quick Google search is bound to pull up some results for food tours in your area. In addition to providing transportation between restaurants as you try out different cuisine, many restaurants located along a food tour offer samples for such visitors to try before deciding on whether or not to eat there. If you can’t find an official food tour through a particular city, perhaps you could gather some friends and carpool to different restaurants, trying various appetizers. Where most tourists go wrong is asking any random person from a given city for restaurant recommendations. Even the internet and social media can lead you down a wrong path in this regard. You should inquire of bartenders and kitchen staff in a city where they would advise you to go to get the best local food. These people will likely know more about local dining than the average citizen.